You probably don't realize this, but I actually started making money online over 10 years ago, in 2003 when a buddy from college turned me on to an affiliate marketing method that actually worked. It was almost surreal... He had me over to his place, showed me exactly what he was doing, sent me a few links and within a couple weeks, I had made my first sale... Then my second... And a couple weeks later I was making daily sales and thousands of dollars per week. More recently, I've had another mentor show me two separate funnel tricks at separate times that have generated an extra six figure per year income stream for me on top of what I was already doing. Again, he took the time to sit down and show me exactly what he was doing... Then he broke it down step-by-step and again, I implemented. 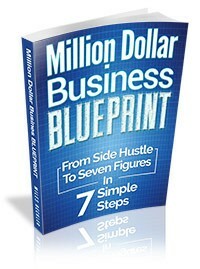 It took some work to get it all done, but once it was finished and launched it made an instant impact in my business. So what exactly does this have to do with growth hacking? Well, I call these periods in my life, 'leveling up' periods. Time when I experienced massive increases in results in relatively short period of times. These were my growth hack times and I can remember at least a handful of specific times when I've leveled up. Every time I've had a massive level-up in my business it has been due to an individual who had already achieved the desire I wanted, taking the time to show me what they did and how it worked for them. Sometimes every step was laid out... In very clear and detailed fashion. But, it always happened in very close connection with a specific individual... It NEVER happened from a method I learned in an ebook, from someone's email list or through a forum post. Don't get me wrong, I still read ebooks, participate in paid forums and follow a few brilliant people from their email list... But those kinds of information never result in massive leveling up. So... If you haven't 'got it' yet... You can check out the video below. My growth hack for growth hacking is all about surrounding yourself with smart and talented people who are producing the results you desire and do whatever it takes to get inside access to them. Now there are a couple of important things to remember about this idea to keep thinks in perspective. You want to surround yourself with people who are on a similar level than you are. If you are just starting out, you want to find people who have also recently started but are generating the result you want... They are adding subscribers to their list every day and generating commissions. If you are making a few thousand a month and are thinking about going full time, surround yourself with people who have gone full time and are generating a steady income their family can count on. ...And, if you are making $10,000 to $30,000 per month, well... Keep reading because I have a special invite for you, below. You see, there is a very limited number of people generating a consistent multiple six figure income online actively working towards growing a million dollar per year business. How to build a team that can grow your business with minimal input. How to scale paid traffic sources without experiencing diminishing returns. How to invest and re-invest your income to provide long term wealth. How to increase the efficiency of your sales funnel and your value ladder. There are gobs of beginners... hordes of people making a bit of money wanting to go full time, but the number of people who have overcome enough obstacles to create a solid lifestyle business is tiny. Plus, most of the 'goo roos' making seven and multiple seven figures per year are inaccessible for close, one-on-one interaction. You can join their $30,000 per year mastermind access to ask them one question per day, or buy their $2,000 courses lead by their 'team' or you can see them keynote at overcrowded conferences, but you don't get their direct input in your business. So how do you get help scaling your business? 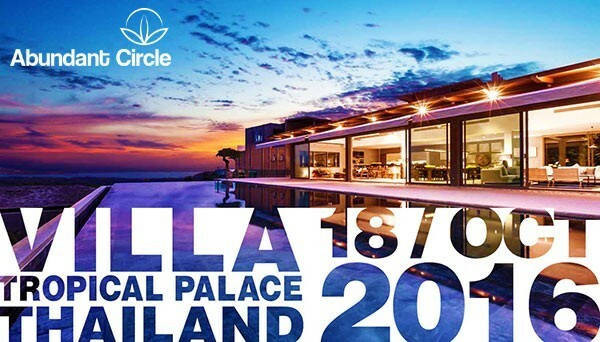 This is exactly why I've created the Abundant Circle Mastermind coming up on this October in Thailand. First of all... This is my chance to help YOU grow your business. I love 'rolling up my sleeves' and getting to help entrepreneurs level-up... And I've been able to help dozens of entrepreneurs experience massive growth through a few well timed questions and suggestions. This is also the chance for 20 other successful entrepreneurs with growing businesses to help you dissolve roadblocks in your business and your mindset so you can level-up. And, this is your opportunity to share what has worked for you and what has not worked for you with a group of talented internet entrepreneurs who have not yet experienced all of the successes and challenges you have. All while spending 5 all-inclusive nights in a luxury Thai Palace with private chefs, a day on a yacht and the time and space to really experience the breakthrough you've been looking for. But... We have an extremely limited amount of space, so if this sounds like the exact kind of event you've been looking for... Click here, learn more and submit your application, now.